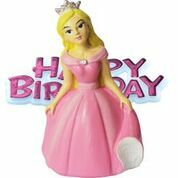 We are really excited about our new range of birthday cake toppers now available from our Cake Decorating supplies Shop, Knowle, Solihull. Our new range of Birthday Cake Toppers include a Happy Birthday Motto sign. The range has pirate cake topper, princess cake topper, motorbike cake topper, cricketer cake topper, tennis cake topper, gardener cake topper, champaign cake topper, train cake topper and golfer to name just a few. these resin cake toppers are simple to use just place on to your cake design to add a fantastic finish to your creation. We also stock a great range of edible sugar cake toppers. Our new teddy bear edible sugar piping with pink or blue touches, are perfect for cupcakes and decorating a 1st birthday cake or christening cake. This entry was posted in Birthday Cakes, birthday cakes solihull, happy birthday cake toppers and tagged Birthday Cakes, cake decorating supplies shop, happy birthday cake toppers by Sugarbliss. Bookmark the permalink.